The hardware he’s using is part of the Gadgeteer family. These run a .NET micro framework and are modular which makes for easy assembly. A laser-cut plywood stand helps to position the camera module for the best shots. Its takes a picture of the seedling once every ten minutes. There is a quartet of RGB LEDs surrounding the lens. They help illuminate the subject for each picture. But [Christian] also mentions that the red LEDs provide light the plant needs to grow (we raise an eyebrow at that claim, but in truth we have no idea if red LEDs make plants grow or not). 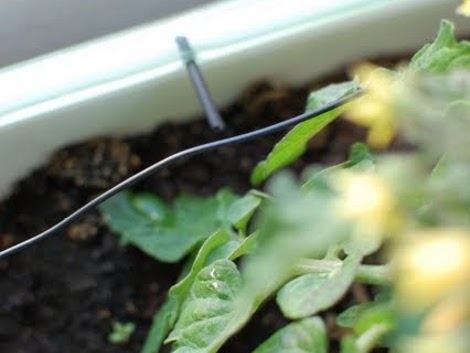 There is also a moisture sensor which you can see inserted in the soil. 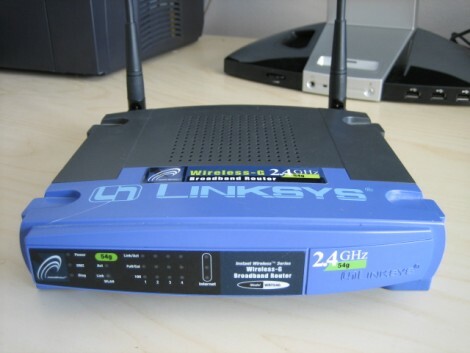 The Linksys router seen about is a WRT54G version 1. It famously runs Linux and was the source of much hacking back in the heyday, leading to popular alternative firmware packages such as DD-WRT and Tomato. But the company went away from a Linux-based firmware starting with version 8 of the hardware. Now they are using a proprietary Real Time Operating System called VxWorks. [Craig] recently put together a reverse engineering guide for WRT54Gv8 and newer routers. His approach is purely firmware based since he doesn’t actually own a router that runs VxWorks. A bit of poking around in the hex dump lets him identify different parts of the files, leading to an ELF header that really starts to unlock the secrets within. From there he carries out a rather lengthy process of accurately disassembling the code into something that makes sense. The tool of choice used for this is IDA Pro diassembler and debugger. We weren’t previously familiar with it, but having seen what it can do we’re quite impressed. No hack will be more readily accepted by the significant other more than an automated vegetable watering system. [Jouni’s] homemade rig keeps those tomatoes happy with just the right amount of moisture. A bucket serves as the reservoir, a submersible pump gets the water to the soil through a bit of plastic hose. An Arduino monitors the soil sensor, watering and tweeting about it when things dry out too much. Don’t miss the soil moisture sensor post if you need some tips on how to get that end of things working. The rest is pretty straightforward. Routers aren’t just for routing network traffic any more. With the help of alternative operating systems such as DD-WRT, Tomato, and OpenWrt, routers are now extremely customizable and can be utilized to suit a number of needs. The main issue with projects built around routers is the need to telnet or SSH into them to get to a console. [Sven Killig] came up with a useful solution that utilizes the USB ports available on an Asus router to display video on a DisplayLink device, allowing a user to sit down and use the device as though it were a physical terminal. This would be a good DIY alternative to commercially available routers that display network graphs, system information, incoming email, and other data.